Welcome to The East Chop Harborfront Apartments on Oak Bluffs Harbor! 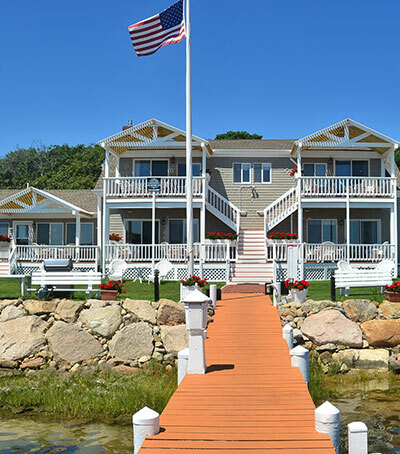 The East Chop Harborfront Apartments are located on the East Chop shore of Oak Bluffs Harbor. A ten minute walk along the picturesque harbor to the town of Oak Bluffs, on the island of Martha’s Vineyard. Watch the ferries, boats and sunset from your private deck or take a walk along the sandy beach. This tranquil harborfront location is the ideal way to relax! The East Chop Harborfront Apartments on the East Chop shore of Oak Bluffs Harbor offers a total of 5 Apartments with reserved parking. Two 2-bedroom apartments and three 1-bedroom apartments. Each apartment is unique.